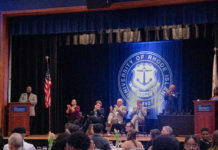 Every two years at the university of Rhode Island, the student handbook can be revised and edited. One of the standards set forth in the student handbook is what exactly is permitted under the protection of freedom of speech on campus. This year, junior Sam Foer is focused on persuading both Student Senate and the campus community that the university needs to adapt more lenient speech policies. 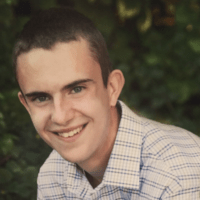 Foer spent his summer interning at the Foundation for Individual Rights in Education (FIRE). The organization seeks to protect individual rights at universities, such as the right to freedom of speech. Throughout the summer, Foer learned the importance of standing up for free speech, and believes that the university must do more to protect this right. When asked what the university needed to improve upon in upholding students’ right to free speech, he highlighted a policy that he believes the university must adapt in order to meet its Constitutional requirement. The policy Foer is pushing for is the Davis Standard, which he explains is, “consistent with the First Amendment’s jurisprudence, and still protects victims of actual harassment.” The Davis Standard sets forth more rigid restrictions on what constitutes as harassment. The key part of this desired revision, Foer believes, is that the university can not determine if an expression is offensive based solely on its impact without considering whether or not the statement was meant to be offensive. Foer explained that, from his perspective, the university is “giving itself the authority to override and disregard federal guidelines if it deems fit.” He points out that since the university is a public institution and receives federal funding, they need to abide by federal guidelines in regards to the First Amendment. In addition to the university’s more concrete guidelines that are outlined in the student handbook, there is also a less formal, yet still important, mantra on campus. The university emphasises that, when speaking, it’s not the intent of what one says but the impact that is important. This policy, for example, demonstrates to students that while they may not mean to be harmful, their words can have an impact on other students and it is important to consider people’s backgrounds before speaking. Foer, however, is concerned that this may be an example of the university infringing on free speech through intimidation. He worries that it creates “a projective and subjective standard of criteria for evaluating what is right and wrong. Once you are granted heckler’s veto, because you felt hurt by what someone said, and the school reprimands the person who said it, nobody is going to want to speak their mind about controversial topics.” This is another area in which he believes the university needs to make changes in order to meet their Constitutional duty of promoting freedom of speech. Although Constitutional standards protect potentially offensive speech, Foer made it very clear that he does not welcome intentionally offensive speech. “The whole point of using free speech is to understand where others are coming from, so it does not devolve into violence or further disrespect,” he said. Foer notes that merely voicing offensive speech is not a crime, and freely talking out differences may help to remove bias over time. He also stresses the importance of using free speech as a tool for education, and allowing others to combat bad ideas with better ideas. In the long run, Foer has an end goal of getting the university’s student handbook “aligned with the law so that it [the university] can fulfill its institutional purpose and imperative.” He does not want any students on campus to “be intimidated by their administration to exercise First Amendment rights.” Foer will continue to push for a revision of the student handbook. If no such revisions are made, he is contemplating using further means of advocacy to make these changes. Foer has requested to be contacted at samuel4.foer@gmail.com if students have questions about FIRE, free speech on college campuses or if they would like the learn more about his movement on campus.